Visit Orlando, the official association and travel planning expert for Orlando, offers an additional 10 percent discount on all purchases made at OrlandoTickets.com starting on November 20 to celebrate the start of the holiday shopping season. To access the promotion, visit OrlandoTickets.com between November 20 and 29 and use the promotional code, "GIFT." Shoppers will find exclusive deals and discounts to more than 40 world-famous theme parks, attractions and dinner shows. Most are valid through one year from purchase, so they make great gifts for anniversaries, family vacations, or other special events throughout the year. Savings start at $30 per ticket on Flexible Date Disney tickets. Guests who purchase a 5-day or longer Flexible Date ticket also receive a free commemorative Toy Story towel with each order while supplies last. Guests who purchase a 3-Park, 2 Day Park-To-Park ticket receive an additional two free days of unlimited admission to Universal Studios Florida, Universal's Islands of Adventure, and Universal's Volcano Bay for a total savings of $65 per ticket. - SeaWorld Orlando: Guests receive 2 days for the price of 1 with a 2-Day, 2-Park ticket that can be used at SeaWorld, Aquatica, and Busch Gardens Tampa for a savings of $75 per ticket. - LEGOLAND Florida Resort: Guests receive a second day of free admission with the purchase of a single day admission for a savings of $35 per ticket. The Orlando area offers more than 450 hotels not only convenient to theme parks and family activities, but also offering a mix of vacation experiences including water parks, entertainment venues, unique and diverse dining experiences, sports, and nightlife, to appeal to all ages and interests. 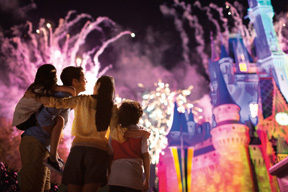 For more information on how to save money on next year's vacation, or give the perfect gift experience, check out OrlandoTickets.com starting November 20.